If you’re a fan of fabulous furniture, sophisticated and yet alluringly beautiful, you will covet the Chester Queen Size Sofa Bed. It’s contour lets you lean back and relax in lavish comfort and style. Deep seat cushions and loose back cushions provide an extra softness, great for lying down at any hour of the day or night with the sofa bed option! Pull out the deluxe queen size bed for a truly comfortable sleep. The innovative cross-wire system and reinforced steel frames make this sofa bed as comfortable as a premium mattress. 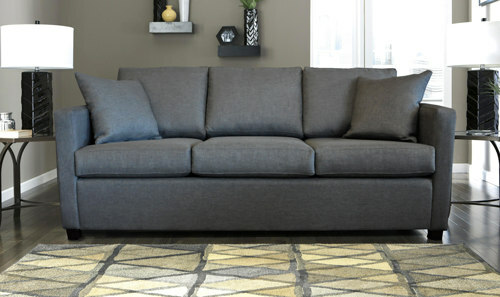 The Chester range also includes a sofa (without the mattress), love seat, and an arm chair to complete the set.